For an easy and perfect tanning finish. 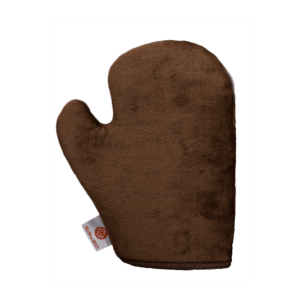 This soft, velvety mitt is ideal for applying any tanning solution to your face or body. Use my mitt to achieve a streak free, natural looking tan. The must have post spray tanning apparel for those that regularly tan. Can be worn Multiple ways - Halter and One Shoulder.